Have you been thinking about having the keys on your flute engraved? If so, you might be wondering how much that would cost -- and when the best time to do this would be. We recently caught up with Rachel Baker, our Powell Repair Technician, to discuss this topic. 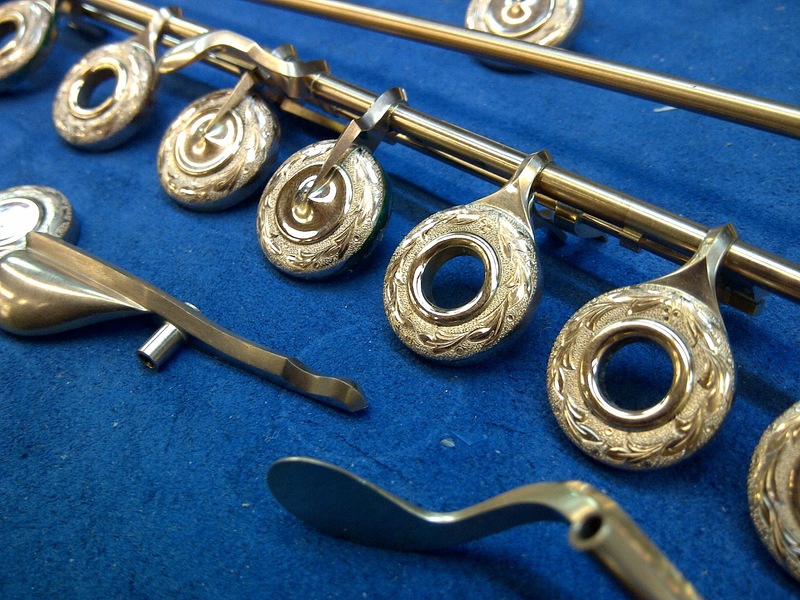 Rachel sees many flutes cross her bench for overhauls. 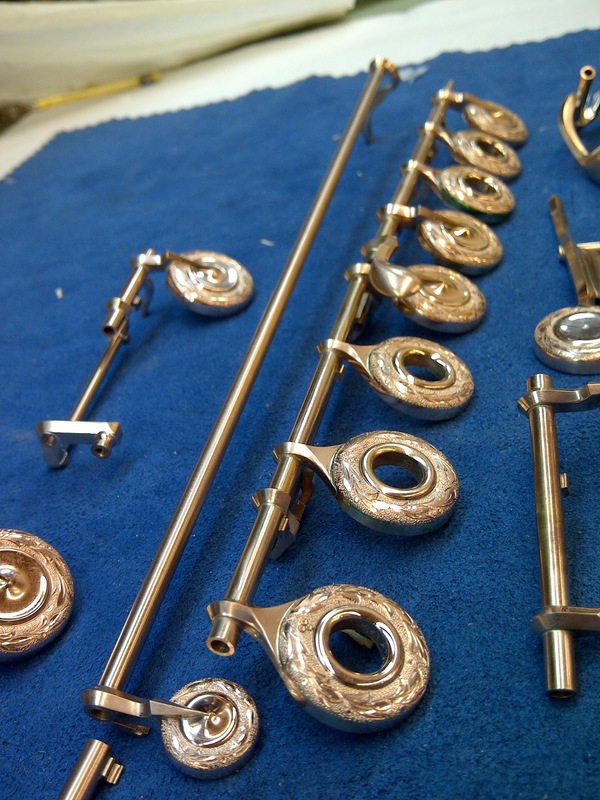 She said that sending in your flute for an overhaul would be the perfect time to have keys engraved. During the overhaul, "everything is apart," so the keys are off the flute and easily accessible individually. She also told us that key engraving is perfectly safe -- it only involves the surface of the keys, so the keys would not be damaged in any way. Why would one choose the engraving option? Well, in addition to aesthetics, Rachel told us that sometimes it's helpful for flute players whose fingers tend to slip on the keys. 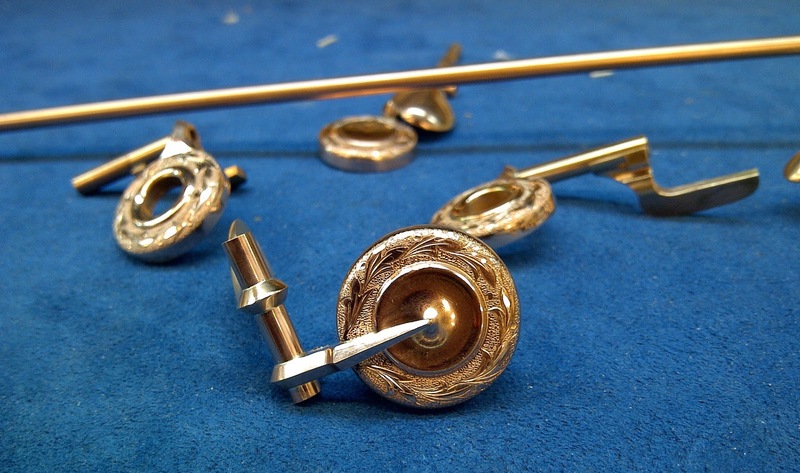 We've featured photos of one of our engraver's work here in this post. He has a standard set of patterns, although Rachel says it might be possible to have a custom design if you have something special in mind. Our engraver is flexible! How much would this cost? Well, engraving a full set of silver keys would cost around $1500, and engraving a full set of gold keys would cost around $2200. 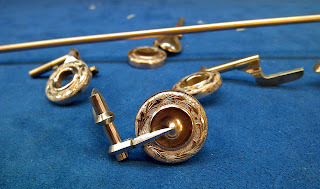 So, if you are thinking about this option, it is certainly possible -- and easiest to do when you send your flute in for an overhaul. As always, feel free to contact our repair shop if you have any questions! Keys are removed for an overhaul -- perfect time for engraving. 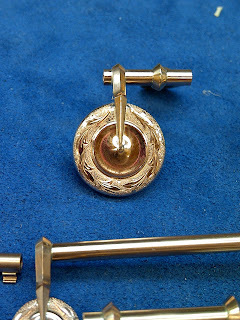 Close-up on a 14K engraved key. Close-up on a key section. 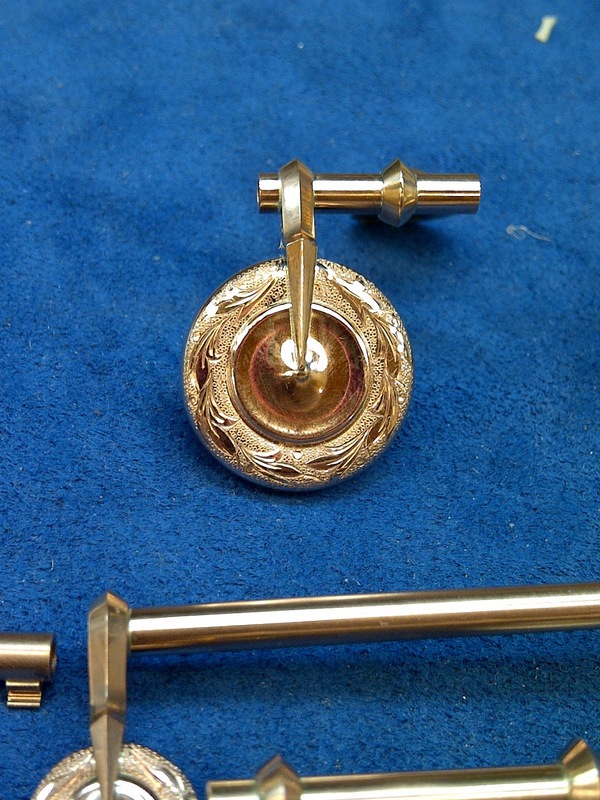 Another view of a 14K engraved key set. 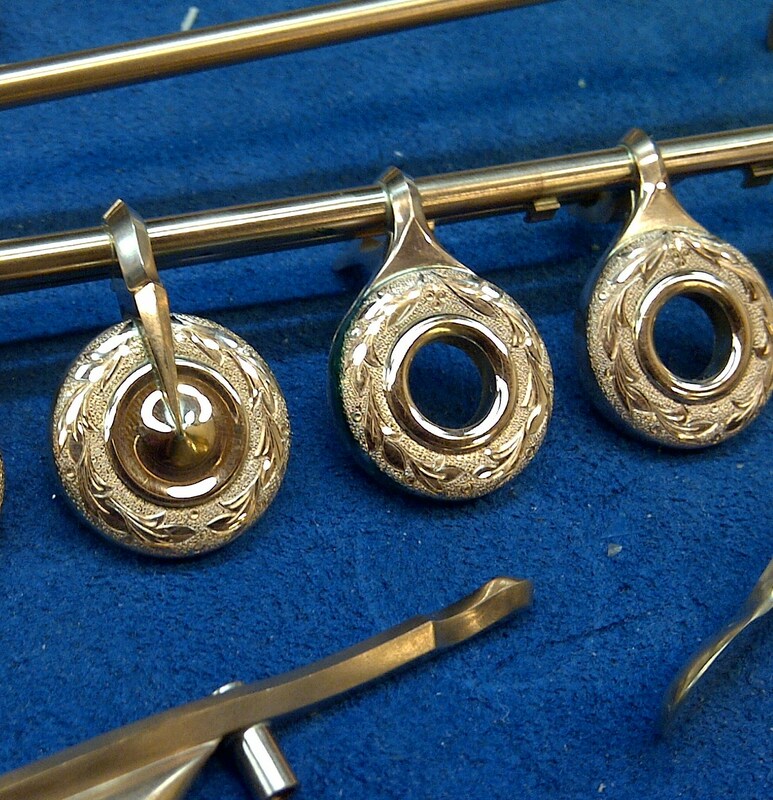 I would love to get my lip plate engraved. How much would that cost?